The Fiji Football Association Mom & Pop League which entered its second Saturday last weekend had drawn more interest to kids and parents. About fifty children attended the grassroots development programme set up by Fiji FA development staff at Albert Park in Suva. Former Suva, Nasinu and Tailevu Naitasiri defender Nitan Kumar said he was very happy with the incentive put by Fiji Football body this year. “I am very happy with Fiji Football because it is something new and I really appreciate what Fiji FA is doing, “Kumar said. 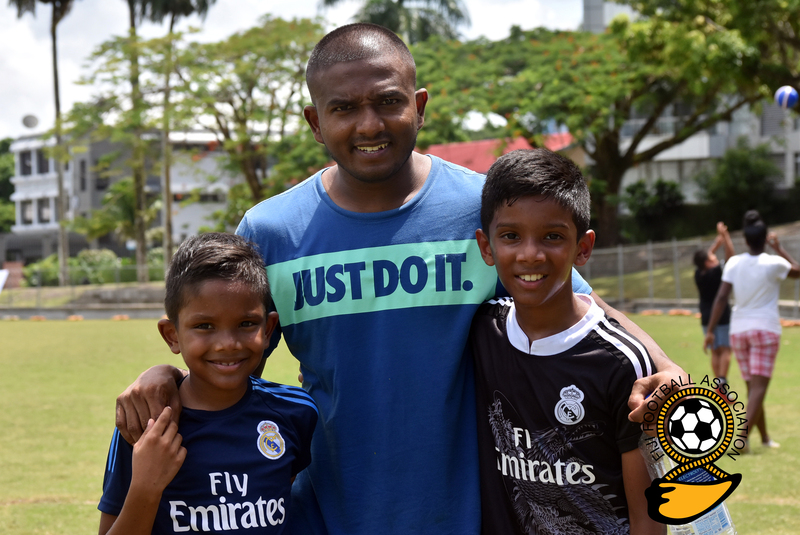 Kumar said he was at Albert Park with his two sons to support the new development program. “I am a footballer myself but I am here with my kids so they can learn more from the development officers and I believe the development staff will teach everything new,” the former defender said. He urged Fiji FA to continue this program for the betterment of football in the country. Another parent Darrel Serber also shared similar sentiment and thanked Fiji Football for the initiative. “It’s just not a good initiative, but the good thing is that it’s free and the equipment that is provided is fantastic and I hope it continues,”Serber said. He said he could see some of the kids with good skills and molding them was the best way for the future of football in Fiji. The Mom & Pop league is a five week program for children under 10 years which two week ago around the country.